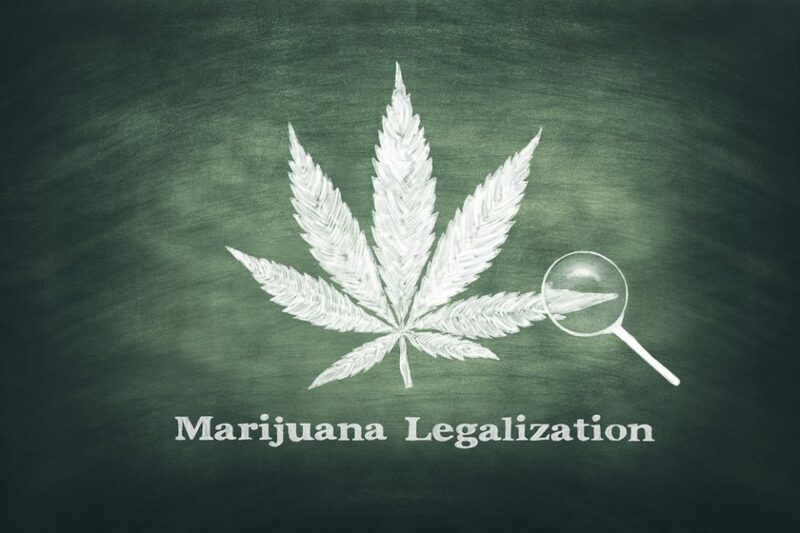 The NASDAQ Markets Group (NDAQ) has been notoriously reluctant to list any cannabis related companies, even if they are only ancillary and not plant-touching. It seems vape distributor Greenlane Holdings Inc. has broken through the company’s barriers. Greenlane will begin trading on NASDAQ today with the ticker GNLN after upsizing its initial public offering of six million shares with the offering price of $17. The company had expected to price the shares between $14-$16. According to the company, Greenlane is offering 5,250,000 shares and the selling stockholders are offering 750,000 shares. 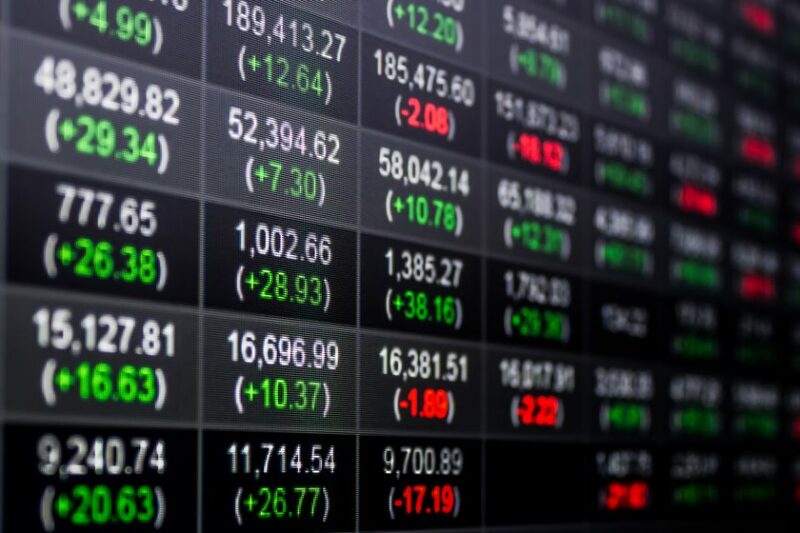 In addition, the selling stockholders have granted the underwriters a 30-day option to purchase up to an additional 900,000 shares of Class A common stock. The offering is expected to close on April 23, 2019, subject to satisfaction of customary closing conditions. Greenlane recorded net sales of $178 million in 2018 and a 102% increase over the $88 million in 2017. The cost of sales in 2018 was $143 million. Still, the company reported a net loss of $6.4 million in 2018. A significant percentage of the company’s revenue is dependent on sales that it purchases from a small number of key suppliers, including PAX Labs and JUUL Labs. For example, products manufactured by PAX Labs represented approximately 15.6% and 29.4% of Greenlane’s net sales in 2018 and 2017, respectively, and products manufactured by JUUL Labs represented approximately 36.5% and 11.4% of its net sales 2018 and 2017, respectively. 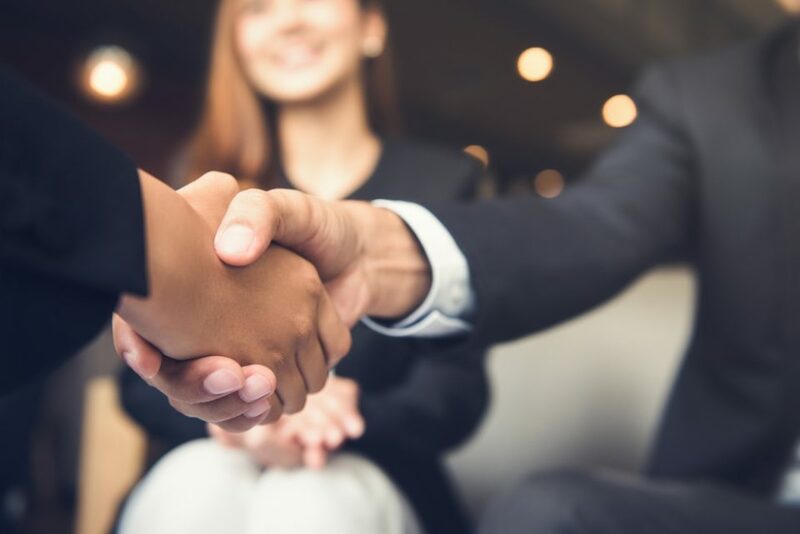 Greenlane shipped over 16.0 million product units to its B2B customers in 2018 compared to over 2.0 million product units to its B2B customers in the fiscal year 2016, representing a growth rate of approximately 687.3%. The company grew its employee headcount from 89 employees as of January 1, 2016, to 256 employees as of December 31, 2018. 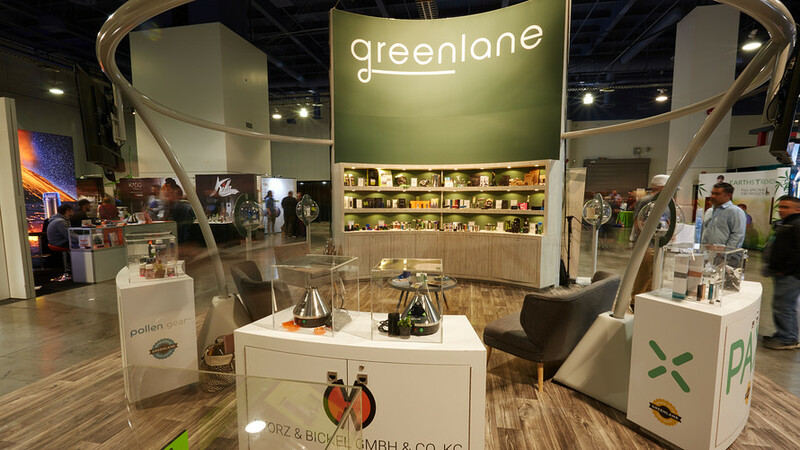 Greenlane’s customers include over 6,600 independent smoke shops and regional retail chain stores, which collectively operate approximately 9,700 retail locations, and hundreds of licensed cannabis cultivators, processors and dispensaries. Greenlane also owns and operates two of the most visited North American direct-to-consumer e-commerce websites in the vaporization products and consumption accessories industry, VaporNation.com and VapeWorld.com, which offer convenient, flexible shopping solutions directly to consumers. Greenlane is developing a unique e-commerce platform, Vapor.com, into which its existing e-commerce websites will be consolidated. Acreage Holdings, Inc. (CSE: ACRG.U) (OTC: ACRGF) (FSE: 0ZV) announced that on April 17, its subsidiary, High Street Capital Partners agreed to acquire Nevada-based Deep Roots Medical in a deal valued at $120 million. The cash and stock transaction will mark Acreage’s entry into the Nevada market. 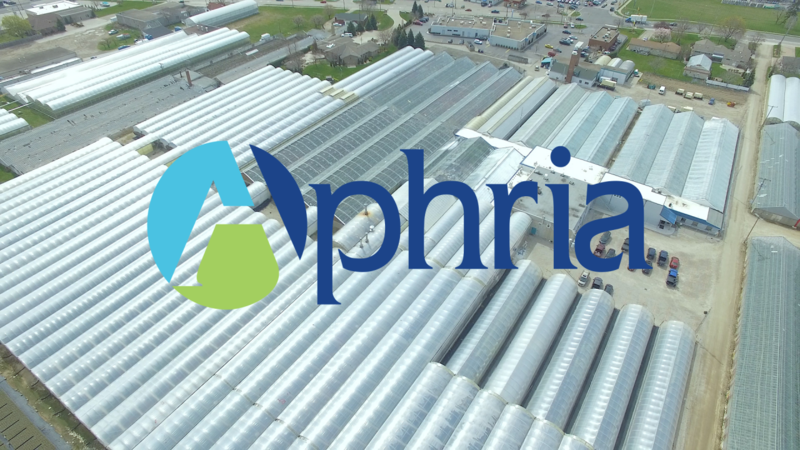 This deal plants another flag in Acreage’s growing empire bringing the footprint up to 20 (including pending acquisitions) making it the largest company in the US cannabis industry. The state is only home to three million residents, but the tourist population swells that number to 43 million. Arcview Market Research estimates that Nevada will generate nearly $800 million in legal cannabis sales by 2022. The total deal is valued at $120 million, including $100 million in common units of High Street Capital Partners, LLC and $20 million in cash. High Street Capital Partners, LLC will issue up to 4,761,905 common units at a deemed value of $21.00 per unit. Certain Deep Roots employees will have a portion of their issued common units be subject to a lock-up schedule. The deal is expected to close in the second quarter of 2019. 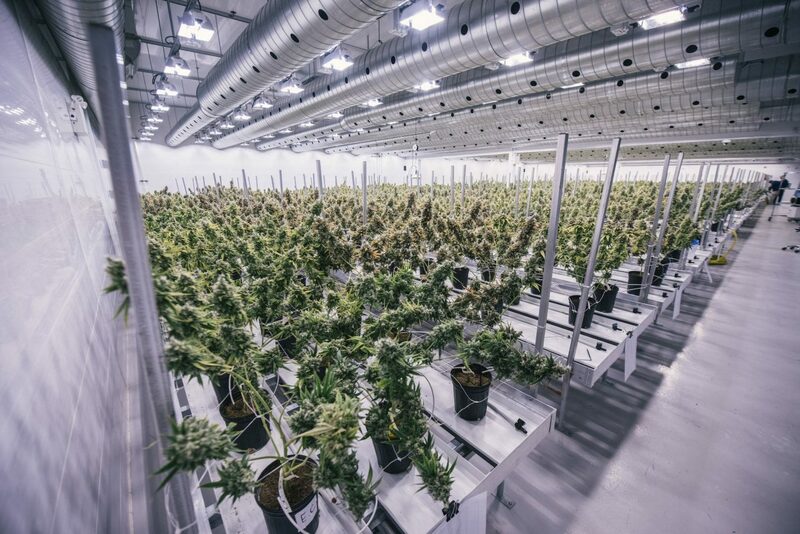 Both Acreage Holdings stock and Canopy Growth Inc. (CGC) stock rose yesterday on rumors that Canopy would acquire Acreage in a multi-billion deal. 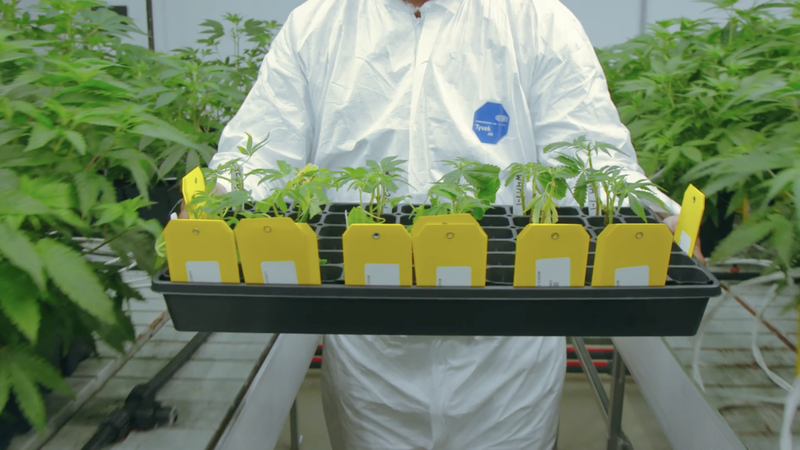 On Thursday morning, the companies jointly announced that they had reached an agreement for Canopy to acquire Acreage. Acreage shareholders will receive a payout of $300 million and will receive 0.5818 of a common share of Canopy for each Acreage Subordinate Voting Share held. The estimated valued of the deal is $3.4 billion. Cultivation: 18,000 SF of indoor flowering canopy for high-end flower housed in a 40,000 SF building in Mesquite, NV. 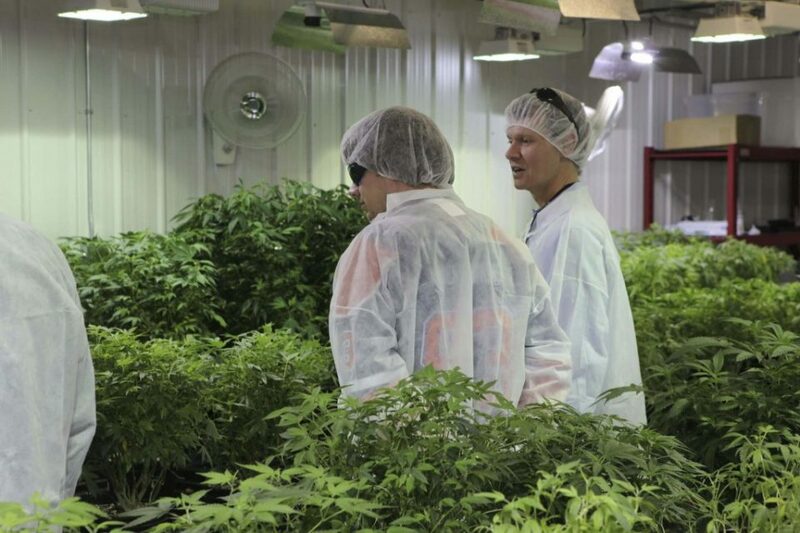 Manufacturing & Processing: Housed in the same 40,000 SF building in Mesquite, Deep Roots has a manufacturing facility and a butane extraction lab to produce their distillates and edibles. The facility has ample space to build a Form Factory to expand its own internal house of brands throughout Nevada as well as other third-party brands it has agreements with. Brands: Deep Roots currently manufactures and produces four internally developed brands. Deep Roots utilizes its name for flower and concentrates and currently produces distillate cartridges, disposable pens, shatter, wax, and distillate for edibles, under the Deep Roots brand name. Chillers hard candies has an extensive variety of flavors including watermelon, lemon, cinnamon, mango, and pineapple. They are typically sold in a tube with ten hard candies, each containing 10mg of THC. Bluebirds – a line of pre-rolled products that typically come in packs of one or three, made from various strains of Deep Roots’ high-quality flower. Helix Twist – a line of gummies that come in six flavors including Sour Cherry, Key Lime, Blood Orange, Cucumber Serrano, and Ginger Peach. Wholesale and distribution business: Deep Roots currently sells and distributes its Deep Roots, Chillers, Bluebirds, and Helix Twist branded products, and other third-party brands, into nearly 80% of the retail dispensaries in Nevada, making it one of the most connected wholesale operations in the state. Retail Dispensary operations: Deep Roots has licenses to operate seven retail dispensaries, one of which is currently in operation, another is under construction, and five additional locations that are currently in development. Of the five remaining licenses to be developed, four are in the greater Las Vegas area and the fifth is in Reno. 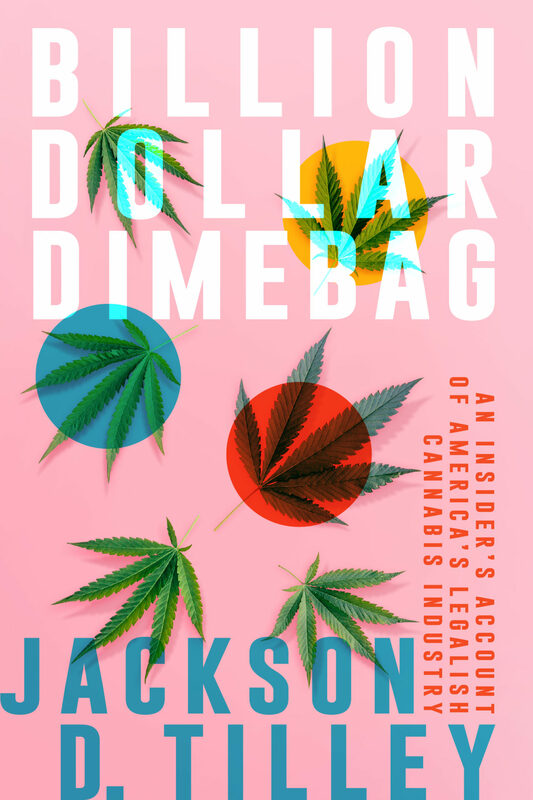 “The book is being published by Post Hill Press, and will be distributed by Simon & Schuster.” It is available now for pre-orders at www.billiondollardimebag.com and it is a true story of being at the right place and the right time for success in the cannabis industry. Tilly started as an intern at O.penVape in Denver Colorado in 2014 just as the adult use cannabis industry began to take off. O.pen.VAPE is owned by Organa Brands, which just announced the acquisition by Slang Worldwide (SLNG). By logging long hours, massive amounts of travel and lots of hard work, Tilley rose through the ranks to his current position. The book chronicles the changes in the cannabis industry as the stigma quickly fell away, but also highlights the constant challenges that cannabis companies endured along the way. 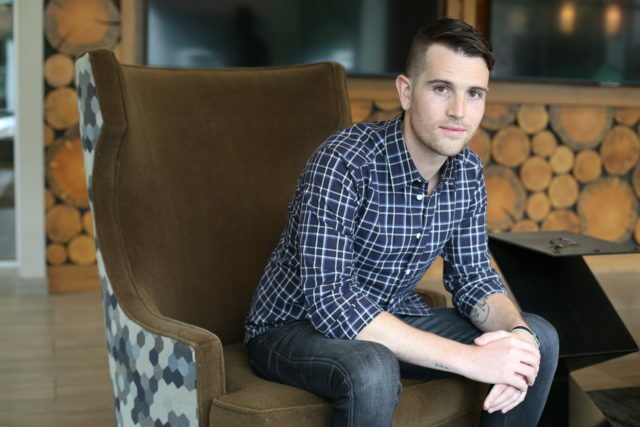 “Working in public relations for so long, I’ve become fascinated with the ways in which people absorb content and internally assign meaning to it in their own lives,” said Tilley. “You see a lot of people rallying against our industry, repeating the same talking points they were using decades ago. And then, on the other side, you had people who were totally in favor of legalization but still painting the industry and community as a bunch of burnouts.” Tilley said he was motivated to write the book because his experience within the industry wasn’t something that those outside the industry saw. Primarily – really brilliant people taking risks with their careers to advance the cannabis industry. Attend any cannabis event in a fully legal state and you will inevitably be offered the product to consume. Corporate events are known to give the product away for free in gift bags and cannabis is easily accessible. Imagine being sober in this environment. Tilley said that was another reason why he wrote the book, “I’m sober and gay and work in the cannabis industry and that combination is pretty rare,” he said. However, ask any person working in corporate cannabis and they will tell you how the hours are long, very long. People will often approach a cannabis executive and suggest how awesome it is to work while getting stoned all day. Many will say, if I got stoned all day I’d never get anything done. It is close to impossible to build a solid company if you spend the day stoned. “I think sobriety is becoming a more interesting topic to a new generation of people, and I wanted to develop a piece of writing that really illustrates the notion that you don’t need to consume cannabis to fully support its legalization,” said Tilley. If you think you don’t belong in the cannabis industry, this book could change your mind. Tilley said he’s hopeful that people will read his book and find that working at a cannabis company isn’t like working for a drug dealer. He believes the book is helpful for people both outside and inside the cannabis industry. According to The Hollywood Reporter Simon & Schuster will distribute in hardcover and e-book format, while Tilley has also struck a deal with Audible for the audio rights to the book with Tilley on board to narrate. The book is expected to hit the shelves on September 17.